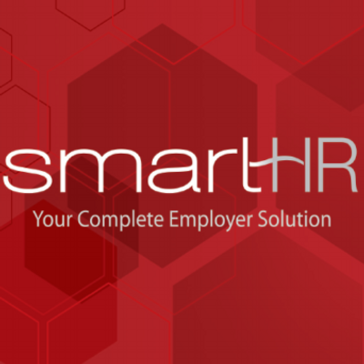 Smart-HR is your trusted employer resources team specializing in human resources, payroll & payroll tax administration, time and labor management and benefits administration. Insperity provides HR and business solutions that help America's best companies prosper since 1986. With ADP TotalSource companies can offer their employees Fortune 500-caliber benefits, a top-flight 401(k) plan, and attractive programs such as career development opportunities. Equally important, the management team of each of these businesses gains executive guidance and a personalized action plan that helps them find, hire, pay, reward and keep the employees that drive their business forward. With Aflac, whether you're a large business or a small one, you can provide your employees with the kind of benefits they'd expect from a bigger company, helping your business stand out from the crowd. Sequoia Consulting Group is an innovative brokerage firm providing strategic benefits, HR, and risk management services to today's hyper-growth companies. Let us take the complexity of HR off your plate so you can get on with growing your business. Enjoy the benefits of a best-in-class HR program that promotes a thriving workforce. Xerox HR provides a resources services including advisory, technology and administration solutions to help user effectively manage HR programs while engaging employees in their health, wealth and careers. Our industry-leading global resources, technical expertise and industry knowledge are delivered locally through more than 500 offices in more than 120 countries. Aadmi Consulting provides full life-cycle HR support for all your business' human capital needs. * We monitor all Smart HR reviews to prevent fraudulent reviews and keep review quality high. We do not post reviews by company employees or direct competitors. Validated reviews require the user to submit a screenshot of the product containing their user ID, in order to verify a user is an actual user of the product. Hi there! Are you looking to implement a solution like Smart HR?